Home » National News » Alagiri vs Stalin: Who will head Karunanidhi's DMK next? Alagiri vs Stalin: Who will head Karunanidhi's DMK next? The position of DMK president has been lying vacant after the demise of Karunanidhi on August 7. Presently, Stalin is holding the post of working president in the party while Alagiri was expelled from the political outfit in March 2014 by Karunanidhi for slanderous attacks on senior party members and carrying out anti-party activities. Stalin filed nomination for the post of president on Sunday. Hours after that, Alagiri said he will decide the future course of action after the by-elections are announced. "What do I do? You want me to go and propose his name? We will see what to do when bypolls are announced," Alagiri said. 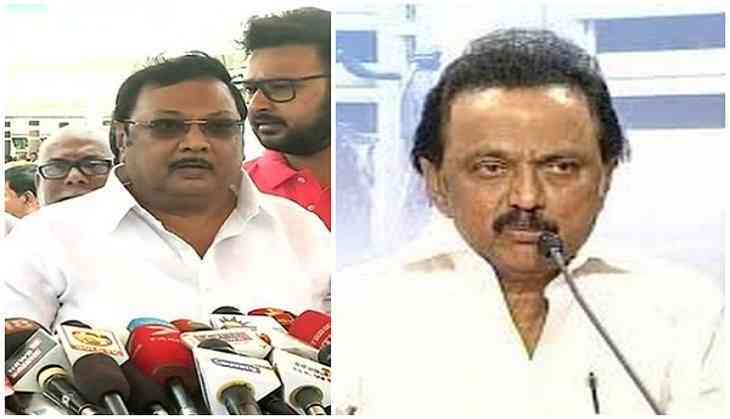 The political battle between the brothers got yet more intense after Alagiri on August 13 claimed, "All the supporters in Tamil Nadu are on my side and are encouraging me only. Only time will give the answers; that is all I am willing to say now."